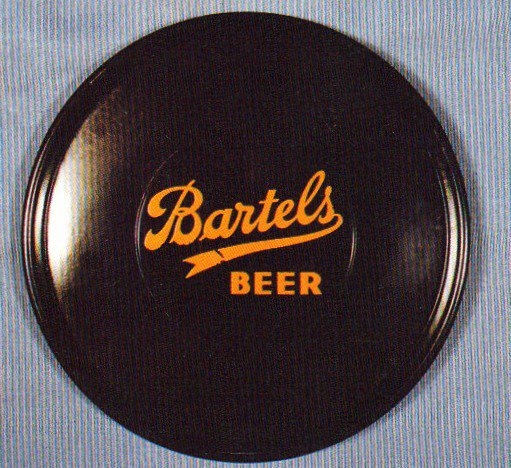 This tray for Bartels Beer is made of Bakelite, an early plastic used during tin shortages because of the World War. The simplicity of this tray is related to the fact that advertising and extravagant imagery was not as appropriate and the technology to work with the plastic was still relatively new. These trays are not especially valuable, but represent some interesting history.